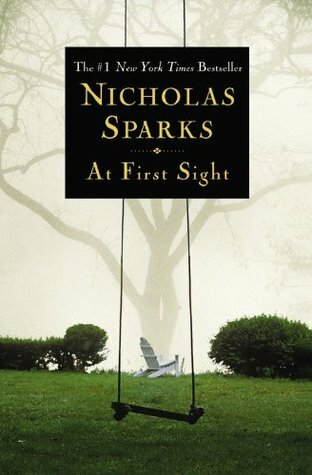 Overall, I thought At First Sight by Nicholas Sparks was okay. It wasn’t very exciting until the end of the book. The characters seemed very realistic because Jeremy, the main character, is a man who worries a lot and over thinks everything. His fiancé, Lexie, is a sweet woman who likes to go with the flow. My favorite character was probably Lexie because I like how she would always be calm whenever Jeremy worried about something. The plot of the book seemed very realistic. The book is about Jeremy and Lexie’s story of their marriage and when they have their baby. Most couples in the real world get married and have children while going through some tough times like Jeremy and Lexie. The plot of the book seems like a basic story for a romantic novel. I don’t like how slow the story moved in the beginning of the book because it made it seem like the book would be boring to read. I absolutely hated the ending because I was expecting a happily ever after like most romantic novels. The sad ending is not what you would expect in a story like this. I don’t really like the style that Nicholas Sparks wrote the book in. I wish he had written it from Jeremy’s point of view because then I would’ve been able to understand what was going through his mind throughout the story easier. For example, at the end when Lexie was at the hospital having the baby, I think I could’ve better understood how Jeremy felt if he was telling the story. What I did like about the book was how descriptive the author wrote it. It made it easier to understand what was going on. I think the point or theme of the book was that you won’t always get what you want and sometimes things you would have never expected can happen at any time. In the beginning of the book, I really liked how Jeremy’s friend Alvin talks to Jeremy about finding your soul mate. He says that you have to agree with each other on most of your decisions, and if you do, then you can get married. Even though this wasn’t one of my favorite books that I have read, I would recommend this book to anyone who has a heart. Someone who is good at figuring out what will happen in the story when they read would probably be able to understand this book. It is easy to understand what is going on throughout the story. This book is similar to a lot of other romantic novels, so if you are interested in that kind of literature, you might like this book. Sign into Goodreads to see if any of your friends have read At First Sight.